#BrittenStrong 5K Run/Walk = Sunday April 28th at the Montreat College Black Mountain Campus/Track – 250 Vance Ave – in Black Mountain, NC. About the 5k Run/Walk: Montreat College, the town of Montreat, and the town of Black Mountain encourage you to come out in support of Britten Olinger. This 5k race will be held at Montreat’s Track and Field/Cross-Country trails on the Black Mountain campus. Shirts will be sold on site and during online registration at the price of $10.00. There will also be bracelets being sold for $1 on the day of the race. All earnings from this event are going to the family of Coach Olinger to help them out with medical expenses. This years race will feature a 5K walk/run, a kids fun run and post race BBQ. Vendors, bouncy houses and face painting will be available also. The race is being coordinated by Montreat College’s Exercise Science Program. This is the third year we are putting on the race and hope we can continue this for many years and help other families in need. 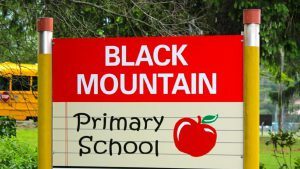 The 4th Annual Leader in Me 5K Run/Walk is hosted by and a benefit for the Black Mountain Primary. The Leader in Me is Franklin Covey’s whole school transformation process. It teaches 21st Century leadership and life skills to students and creates a culture of student empowerment based on the idea that every child can be a LEADER. Lead the Way 5K and 1 Mile Fun Run is a FUNdraising 5K Run/Walk to help us raise the money that Black Mountain Primary needs to fully implement Leader In Me leadership program with our students. Come support a local school and have fun while doing it! Sign up now and add on a shirt for support!